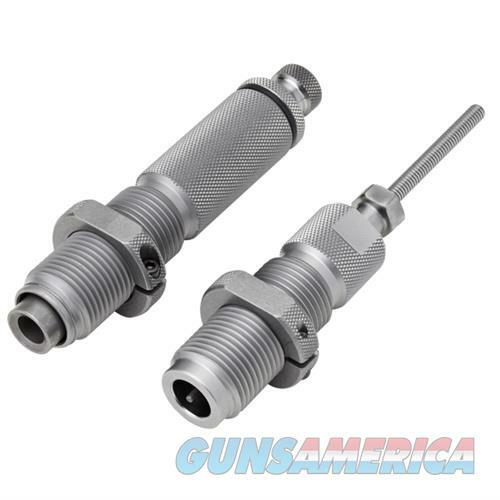 Description: Hornady 546302 Hornady Series III Custom Grade Full Length Die Set, 284 Win Hornady's Custom Grad New Dimension dies are created from select steel that's heat-treated to ensure the durability needed for a lifetime of reloading. Hornady guarantees they'll never wear out or break under normal use. All dies include the popular double-flat Hornady die lock rings installed and a custom plastic box. Hornady dies are grouped in three series for pricing - die construction and quality is equal in each series. The Custom Grade Full Length Sets include one each of the Custom Grade Full Length Dies and Seater Dies. Dies are complete with Zip Spindle decap assembly and double-flat lock rings, packaged in a custom plastic die box.